Dead Island Riptide takes place as a sequel to Dead Island (2011), picking up immediately where the first game left off. The main characters are seen landing on a ship after escaping the prison on the island of Banoi only to find that they aren’t out of the clear yet. Purna, Xian, Sam B, and Logan are taken forcefully below deck by military officers, and there they meet a new soon-to-be member of their team – John Morgan. Having previously discovered that they are all immune to the virus that creates the zombies that plagued the island of Banoi, these characters know they have a better chance than anyone else of surviving an attack but their luck of the draw also makes them targets. Frank Serpo, a civilian VIP, leads the crew of the ship and tells them to keep the playable characters locked up. After passing out below deck, they wake up to discover there has been an outbreak on the ship leaving many dead and bringing most back to life, and to make matters worse – the ship is out of control and heading straight towards dangerous rocks. After fighting through the dead and working together with a soldier named Sam Hardy, the remaining crew is too late to gain control of ship. Serpo leaves on a helicopter and the ship crashes, leaving only few survivors including all five playable characters and Sam Hardy. Not sure who to trust, they must now fight their way to the truth behind the infection and Frank Serpo while trying to keep each other alive on the perilous island of Panamai. Dead Island Riptide is a role-playing game based around a zombie apocalypse. Players will have a main story mission to follow but also have the ability to pick up side missions by exploring the island and finding people in need. The game can be played alone in a single player mode or with friends in a cooperative mode. The co-op is online only and doesn’t support split-screen play. Each mode has its ups and down, most of which are player preference. One positive thing is that if a player chooses to play alone in the single player mode, they can expect the game to not be as difficult as it would be if there were four players. The difficulty for both modes are scaled properly to give all play styles a reasonable challenge. If a player has a previous save game in Dead Island they can import their character and their stats or choose a new one completely. Players will choose their character at the beginning and cannot switch to another player in the same save game. If a player wishes to play as a different character they must start a new campaign. Each character has a unique skill set and personality. For example, if a player would like to specialize it guns and other firearms they can pick Purna, who is the gun-focused character, or if the player would rather focus on hand to hand combat they can pick Sam B, the hand to hand expert. Each character also has a unique back-story and set of ideals. When a character is selected on the main screen, the character themselves will say a little bit about themselves giving the player an insight to the kind of person they are. Each character has a unique personality that can either be easily related to by a player or just spark a players interest, giving the characters more depth. Upon choosing a new character, the player will be given the option to either customize their own skill set or pick a generated skill set based on their play style. There are 15 skill points allotted to new characters, these can be distributed into the fury tree, the combat tree, and/or the survival tree. Fury is a special feature in Dead Island Riptide. When the fury meter is completely filled, the player can hold down the designated button and send their character into a special “fury” mode. Each character’s fury mode is unique to the character themselves, for example Logan will be granted unlimited knives during the fury period that are auto-aimed at the enemies and deal extensive damage. This mode only lasts about 7 second or so and is best used when being overwhelmed or facing a strong enemy. 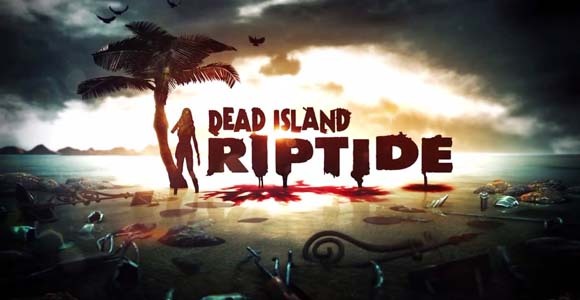 Most of the enemies found in Riptide are repeats from Dead Island, but a few new zombie types were added into the game. To level up and acquire skill points players must earn XP. XP can be earned through killing enemies as well as by completing missions and challenges. There are also new areas called “Deadzones” which act like challenge rooms or mini-dungeons, giving the player a horde of different types of zombies to kill to beat to earn cash and XP. The game’s basic interface is very similar to that of Dead Island’s, so players who have played that game will have an easy time getting reacquainted to the system. Though, if the player has never played Dead Island, they shouldn’t have a hard time getting used to it as it is very user-friendly. Players can play the game however they feel comfortable and the combat is easy to get accustomed to. If they player prefers to play more up close and personal they can focus on melee and knives, if they want to play mid range they can focus on clubs and sword, and for those who like to distance themselves from the zombie hordes guns and firearms are available. Of course, if someone wishes to mix it up any of these styles can be mixed together. Players can have eight weapons equipped at any time (after all slots are unlocked through leveling up) so equipping various styles of weapons is not only easy, it’s encouraged. There is also a storage system implemented into the game and seeing that the players inventory is relatively small it’s very helpful to be able to store extra weapons and items away. Riptide’s weapon upgrade system is almost identical to that of its predecessor. At weapons benches weapons can be repaired, due to them wearing with use, and upgraded to be more efficient zombie killing tools. There is also the return of the modification portion of the bench. Weapons can be found throughout the island easily and then modified to make them deal more damage or special damage. This includes, but is not limited to, barbed wire mods, electrical mods, and poison mods. Some modifications will simply make the weapon stronger and deal more damage while others will cause the weapon to inflict specialty damage such as electricity and fire. This means that every weapon has the ability to be completely unique to the player, who can also trade with their co-op partners, if they feel like sharing. The graphics are improved upon from the past game in that they have been given a basic polish, though otherwise they are pretty much exactly the same. Facial animations can be unrealistic, but not all the time. They animations and mechanics through the game tend to be unreliable, sometimes things look natural and normal and other times they don’t. At times the sky will darken as if it’s going to rain then go right back to being sunny almost instantly in the same exact area. These issues do not ruin the game, nor do they make it hard to play, but they are random and distracting. There are a variety of glitches in the game, while none of them are game-breaking they can irritate the player. These glitches include door that are supposed to open but wont which may make it impossible to finish a quest and zombies stuck in walls, as well as many other strange occurrences. The depth of the characters and side characters is more heavily illustrated throughout the game, making them more meaningful and worthwhile. Each character (including non-playable characters) have a mini bio in the game’s menu, so that players can learn a little more about them while they interact with them. Nuances like an item storage and easy-to-find money make the gameplay much more smooth and less cumbersome on the player. Weapons and guns are also easier to come across than they were in Dead Island. Voice acting is well done though a lot of the characters sound the same. The main characters are distinguishable of course, but the NPC’s appear to have the same voices. The lighting and scenery, though glitch-ridden at times, are beautiful when looking their best. The island of Panamai looks different compared to the island of Banoi, yet are obviously in the same climate zone and therefore look somewhat similar, foliage-wise. The zombie models are reused frequently, but unlike Dead Island, Riptide’s zombies at least look a little different from one another. There are heavy zombies, skinny zombies, and every kind in between – giving the enemies a more natural look. The Good: The best part about the game is that it’s fun to play. Being able to explore a zombie infested island with your trusty machete and some friends makes for a really enjoyable experience. Even playing the game alone is fun due to the immense exploration opportunities available. The Bad: Despite the fun factor, the game is relatively identical to its predecessor. While I don’t think that’s the worst thing in the world, since I liked Dead Island, it can get tiresome doing the same thing over and over again for two whole games. The Ugly: The glitches are still rampant. I’m not sure why they are there still, since that was one of the main complaints about the first game, but they are there and they are many. The only thing keeping me from being more angry about this is that these things can be fixed through patches and aren’t game breaking. Honestly, I have just as much (if not more) fun playing alone. Though I know I am a minority in that aspect. The glitches aren’t too bad, at least I have yet to cross any major ones, and either way the game is still a lot of fun! Thanks for the review. Maybe when its cheaper in price I’ll pick it up. I enjoyed the first even though towards the end I became a lone survivor as friends began trading it in due to its glitches. So I’m sure they won’t be playing this one. Maybe I’ll try playing it with strangers. Could add a fun zombie apocalypse feel to it. Great review! I loved the original Dead Island but was occasionally annoyed by its buggy nature. Unfortunately it was quite the same with Riptide. I’m sure that the bugs will be patched soon enough though. Also was glad to see that the plot and characters were more fleshed out this time around. Still didn’t feel like a sequel but more of a side story all in all. Yes, it did feel side-story-ish but was way more in-depth. I’m glad they made it into a sequel rather than some DLC, but I think they should have put a little more effort into it is all. Thank you!